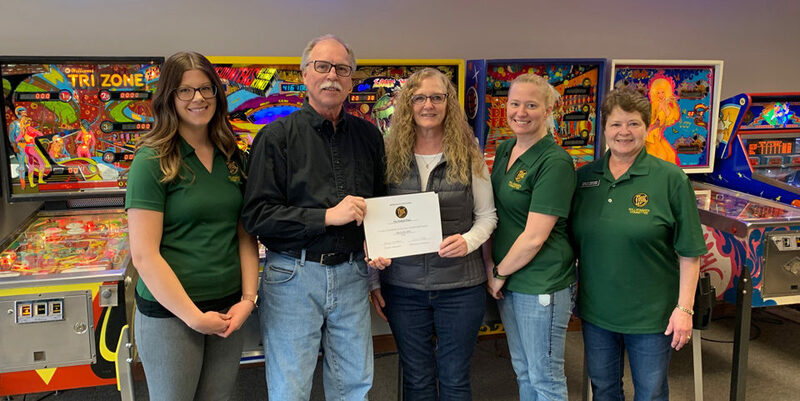 The Willkommen Committee recently stopped by Minnesota Valley Transport to welcome them as new members of the New Ulm Area Chamber of Commerce! Dan Forsythe purchased the trucking company in November of 2015. Dan, a Northfield native, had worked for J&R Schugel for 9 years before deciding he wanted to venture out and own his own company. MVT was started in 1984 and currently has 23 trucks, mostly refrigerated. They try to do a lot of business locally, and haul a lot of food products from Kraft and AMPI. Dan said he wanted to join the Chamber because he wants to participate in the community and be a part of something bigger. Welcome! 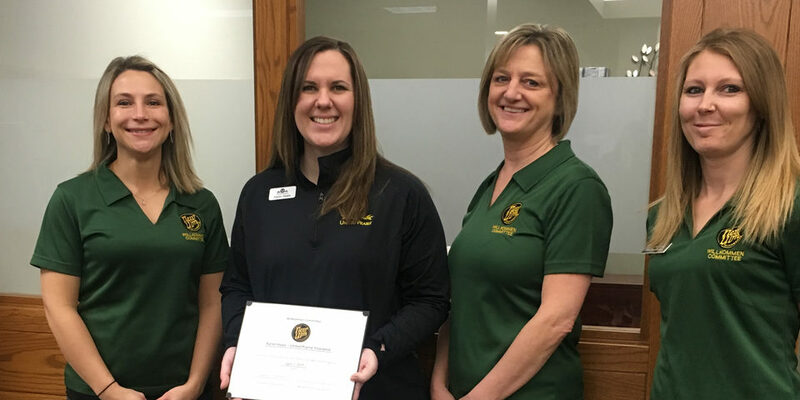 In the photo are: Katie Nosbush, United Prairie Bank; Dan Forsyth, Minnesota Valley Transport; Kathy Van Roekel, NU-Telecom and Chamber of Commerce Board Chair; and Kim Hanson, New Ulm Real Estate.